Senior guard Seth Clark (Lewis Center/Olentangy) and senior guard Nate Axelrod (Dublin/Coffman) contributed 14 points and 3 assists apiece as 17th-ranked Ohio Wesleyan built a 59-19 halftime lead and went on to record a 110-48 North Coast Athletic Conference win over Allegheny on Saturday in Meadville, Pa. The Bishops opened the game with a 17-2 burst that included 2 lay-ins and a 3-pointer by Clark, along with 3-pointers by senior wing Will Orr (Johnstown/Johnstown-Monroe) and sophomore wing Nick Heidel (Cincinnati/Indian Hill). Allegheny’s Zack Pateras ended the Bishop run with a jumper, but Ohio Wesleyan got a pair of 3-pointers from sophomore guard Jaret Gerber (Worthington/Thomas Worthington) and another by Orr on the way to a 30-6 lead at the midway point of the first half. The Bishops would pull away from there, with Axelrod scoring 9 consecutive points and Clark adding a 3-pointer late in the half for the 59-19 halftime advantage. Clark led the Bishops with 17 points and 8 rebounds, while Axelrod finished with 16 points and a team-high 6 assists. Gerber added 15 points, Heidel had 11 points, and freshman wing Dawsin Tillman (Bellefontaine) tallied 10 points. 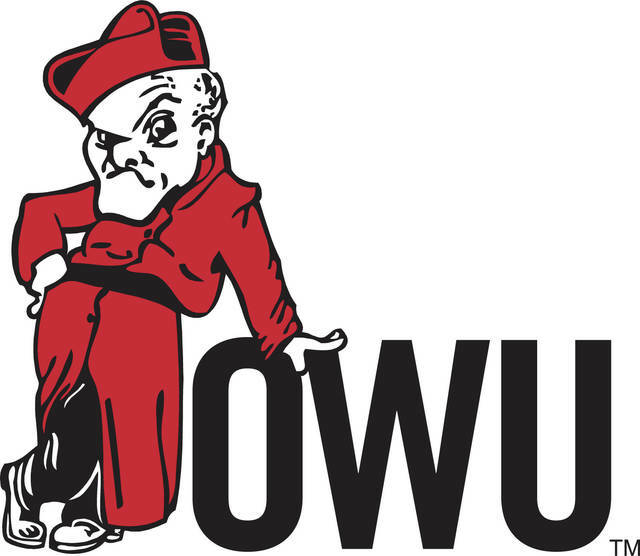 Ohio Wesleyan went 22-for-51 from 3-point range, marking the third game this season in which the Bishops connected on more than 20 trifectas. Tavian Strobridge led Allegheny with 10 points. Sophomore guard Claire Sterling (West Jefferson) and senior guard Kayla Richard (Minster) scored buckets to break a 48-48 tie and give Ohio Wesleyan the lead midway through the fourth quarter, but Allegheny answered with a 16-0 run and went on to a 66-55 North Coast Athletic Conference win over the Bishops on Saturday in Meadville, Pa.
Sterling knocked down a jumper from the lane and Richard followed with a lay-in to give Ohio Wesleyan a 52-48 lead with 5:11 left in regulation time. Brooke Smith answered with a 3-point play for the Gators, Delaney Arbore followed with a lay-in and a pair of free throws to give the Gators the lead, and Rylee Donovan added a pair of free throws. A Brooke Smith 3-point play and a Julianna Skowron lay-in wrapped up the 16-0 Allegheny run, which put the Gators up, 64-52, with 1:18 remaining. Ohio Wesleyan had taken the lead with an early 17-0 run. Sophomore post Elea Karras (Bellbrook/Miami Valley) hit a pair of lay-ins sandwiched around a lay-up by junior guard Erin Delaney (Toledo/Notre Dame Academy), freshman guard Tia Karras (Bellbrook/Miami Valley) followed with a 3-pointer, and sophomore guard Claire Sterling (West Jefferson) and sophomore guard Nicole Popovich (Rocky River) added lay-ins. Freshman guard Morgan King (Xavier/Dayton Carroll) closed out the Bishop run with a sequence in which she drove for a lay-in, drew a foul on the play, missed the free throw, grabbed the offensive rebound, and scored on a putback to give Ohio Wesleyan a 19-4 lead with 4:40 left in the first half. The Bishops led by as many as 17 points, that coming at 25-8 early in the second quarter, and still led by a 29-15 count with 3:34 left in the first half before Allegheny assembled an 8-2 run kate in the half and scored the first 7 points of the second half, pulling within 32-30 on a Delaney Arbore 3-pointer. Sterling connected on a 3-pointer to extend the Bishop lead to 37-32, but the Gators scored the next 6 points as Arbore had 2 baskets and Rylee Donovan added a fast-break bucket to give Allegheny a 38-37 lead, and the third quarter would end with the teams deadlocked at 44. Sterling led the Bishops with 14 points, Popovich had a team-high 10 rebounds, and King had 4 assists. Arbore led Allegheny with 15 points.